Israel was forced to evacuate its ambassador and most of its diplomatic staff from Cairo this weekend after hundreds of Egyptian protesters tore down a security wall protecting the Nile-side embassy, ransacked its files and burned an Israeli flag. It came less than a week after Turkey, Israel’s other major ally in the Muslim world, announced it was expelling the Israeli ambassador and downgrading its relationship to the lowest possible level after a deadly skirmish involving a Turkish aid vessel that was attempting to deliver supplies in defiance of Israel’s blockade of the Gaza Strip. With another potential predicament brewing later this month when the Palestinians are expected to request membership and statehood at the United Nations, Israeli-Arab relations appear to be plunging to their lowest point in years. “Within a week Israel has found itself two friends down and about to face a so-called diplomatic tsunami with the Palestinians,” said one European envoy in Jerusalem, who spoke on condition of anonymity under diplomatic protocol. The damage to relations with Egypt and Turkey has struck many Israelis. Turkey was the first Muslim-majority country to recognize Israel as a Jewish state in 1949 and Egypt was the first Arab country to sign a peace treaty with Israel in 1979. Israeli Prime Minister Benjamin Netanyahu was quick to condemn the attack on the Israeli embassy in Cairo but added that the historic peace agreement between Israel and Egypt was still intact. “Egypt must not ignore the severe injury to the fabric of peace with Israel and such a blatant violation of international laws,” Netanyahu said Saturday. Officials in Israel’s foreign ministry, however, said the embassy attack “could not be ignored” and marked a sharp shift in Israel’s diplomatic dealings with its neighbor since the resignation in February of Egyptian President Hosni Mubarak — whose dictatorial regime had kept a lid on anti-Israeli sentiment. “For a long time Israel has benefited from a positive relationship with Egypt that allowed Israel some sense of security. 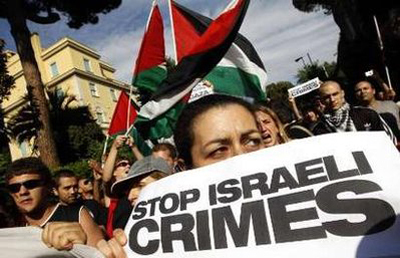 It is clear that Egypt today is not the Egypt of one year ago,” said an Israeli diplomat who also requested anonymity. The image of the burning flag figured prominently on Israeli television this weekend, with several commentators asking whether it would be the last time an Israeli flag flew in Egypt. On Israel’s Channel Two news, the anchorman led the Saturday evening broadcast by asking whether Israel had found itself “alone without a friend” in the region. Netanyahu and Foreign Minister Avigdor Lieberman have been increasingly at odds over how to cope with the growing isolation. Under the hawkish Lieberman’s directive, foreign ministry officials have begun drafting a list of “punishments” for Turkey. Meanwhile, Netanyahu’s office said it had heeded calls for restraint and a tempering of hostilities between the two nations. Turkish officials have said that relations with Israel will not improve until Israel apologizes for the killing last year of nine Turkish nationals aboard a boat that aimed to breach Israel’s blockade of the Gaza Strip. Israel has stood by its blockade, and its position was recently bolstered by a U.N. report that found the blockade lawful. The same report, however, said that Israel had used unnecessary and excessive force in stopping boats aiming to break the blockade, including the storming of the Turkish Mavi Marmara ship by Israeli naval commandos, who killed the Turkish nationals. American officials have tried unsuccessfully to negotiate an apology from Israel to Turkey over the incident. Relations had already soured over Israel’s recent war in Gaza and a series of diplomatic snubs by Lieberman and his deputy. In about 10 days, Israel likely will face another diplomatic hurdle when the Palestinians are expected to launch a bid for statehood at the U.N. General Assembly. Israel has been maneuvering to quash the bid — which the United States opposes and has threatened to veto — but Palestinians have said they’ll go forward and attempt to win two-thirds support for an independent state that would include East Jerusalem, the West Bank and Gaza. Several European countries have signaled their willingness to vote in favor of the Palestinian state, putting Israel in a difficult position. frequently cited in marriage ceremonies. this army of unshakeable friends. begin its descent. There are clear rewards for supporting Israel. unconditional love and with no expectations of rewards. declaration of loyalty. With Naomi’s guidance, Ruth remarries and has a son. Naomi goes from feeling isolated to the joy of holding a grandchild in her arms. David, is born in Bethlehem. July 7th, 2010 Posted By Pat Dollard. The MKs questioned the president’s motives and suggested that he was putting on a show for American Jews ahead of the crucial November mid-term elections, in which the Democrats may lose control of Congress. “He doesn’t sound evil now because he needs Jewish votes and money,” said Deputy Negev and Galilee Development Minister Ayoub Kara. “But I won’t forget the pressure he put on Netanyahu and the stress I saw in the prime minister the last time he came back from Washington. He is acting the way he is for political reasons. Likud MK Danny Danon said he believes Obama learned his lesson that pressuring Israel does not work. He said he hopes Obama will also learn that the Likud would not allow Netanyahu to continue the 10- month construction moratorium in Judea and Samaria beyond September. “Obama restrained himself and didn’t attack our prime minister this time, but he still set unrealistic expectations for the peace process,” Danon said. National Union MK Arye Eldad, who heads the Knesset’s Land of Israel caucus, said Obama was delaying pressure on Israel for tactical reasons. He said Obama realized that Netanyahu would not agree now to extend the freeze, so the president will instead try to initiate direct talks with the Palestinians in order to put Netanyahu in a position in September where he would not be able to resume construction. “Obama doesn’t sound wicked now, but he was merely buying time,” Eldad said. Meretz leader Haim Oron said he was not impressed by the gestures made by either leader. He expressed hope that Obama would not stop pressuring Netanyahu. “Bibi is trying to escape the peace process,” Oron said. “If he succeeds, it is bad for Israel. It is a close question whether “civilians” who agree too participate in the breaking of a military blockade have become combatants. They are certainly something different than pure, innocent civilians, and perhaps they are also somewhat different from pure armed combatants. They fit uncomfortably onto the continuum of civilianality that has come to characterize asymmetrical warfare. Finally, we come to the issue of the right of self defense engaged in by Israeli soldiers who were attacked by activists on the boat. 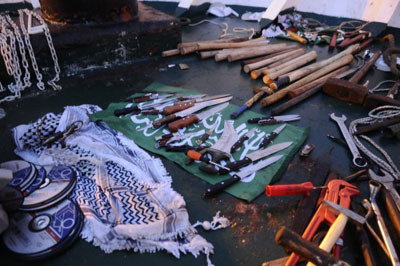 There can be little doubt that the moment any person on the boat picked up a weapon and began to attack Israeli soldiers boarding the vessel, they lost their status as innocent civilians. Even if that were not the case, under ordinary civilian rules of self defense, every Israeli soldier had the right to protect himself and his colleagues from attack by knife and pipe wielding assailants. Less there be any doubt that Israeli soldiers were under attack, simply view the accompanying video and watch, as so-called peaceful “activists” repeatedly pummel Israeli soldiers with metal rods. (http://www.youtube.com/user/idfnadesk) Every individual has the right to repel such attacks by the use of lethal force, especially when the soldiers were so outnumbered on the deck of the ship. Recall that Israel’s rules of engagement required its soldiers to fire only paintballs unless their lives were in danger. Would any country in the world deny its soldiers the right of self defense under comparable circumstances? Notwithstanding the legality of Israel’s actions, the international community has, as usual, denounced the Jewish state. In doing so, Israel’s critics have failed to pinpoint precisely what Israel did that allegedly violates international law. Some have wrongly focused on the blockade itself. Others have erroneously pointed to the location of the boarding in international waters. Most have simply pointed to the deaths of so-called peace activists, though these deaths appear to be the result of lawful acts of self-defense. None of these factors alone warrant condemnation, but the end result surely deserves scrutiny by Israeli policy makers. There can be little doubt that the mission was a failure, as judged by its results. It is important, however, to distinguish between faulty policies on the one hand, and alleged violations of international law on the other hand. Only the latter would warrant international intervention, and the case has simply not been made that Israel violated international law. One may describe Hitler as a “vegetarian” (which he apparently was) but he was still a genocidally exterminationist Jew-hater whose relentless racism and imperial ambitions led to the death of more than 60 million people. One may also describe the Turks on board the “freedom flotilla” (Orwell himself could not have suggested a better logo) as “humanitarian activists.” But they are still pro-terrorist Turkish jihadists whose mission was to kill Jews, one way or the other. This was a mission which aimed to further demonize the already shamefully tarnished reputation of the Jewish state. This mission planned to force a violent confrontation; were Israeli soldiers to dare defend themselves and if Muslims are therefore martyred—even better public relations, even better for international lawfare against the Israel. Some say that the Israeli commandos could have used taser guns, rubber bullets, or simply sent far more soldiers onto each boat. But the Israelis initially boarded the boats armed with paintball guns. And one wonders: How many Israeli soldiers can fit on a boat? One Israeli now suggests that Israel should have surrounded all the boats, stopped them dead in their tracks, shot out their motors. Said I: And then done what with them? Said I: Are you crazy? Negotiate with terrorists? And then feed them, house them, coddle them—terrorists who would not even agree to bring food and a note to Gilad Shalit? Incredibly, Israel has been doing just that, treating the wounded terrorists in Israeli hospitals  and preparing to intern the remaining “activists” in air-conditioned tents  in Ashdod. Said he: There should have been better military planning. Why did Turkey attack Israel? How much Iranian support did they have? Turkey was once a haven for Jews in flight from the Christian Inquisition. Once, long ago, Muslim Turkey gave asylum to Dona Gracia HaNasi , the noble and generous leader of the Jews who had fled from Christian Spain and Portugal. Dona Gracia, a widow, was the wealthiest Jew of her time and, after living in Italy, found final refuge in Constantinople in 1552. Some wealthy Jews still live in Turkey today—yes, despite the bombing  of two Turkish synagogues in 2003. I wonder how safe they are and for how long. As to women? Locked up in harems—but if they were lucky/most unlucky, perhaps in the Sultan’s own harem or seraglio. For example, in 1784, a French girl, Aimee Dubucq de Rivery,  was kidnapped on the open seas by Algerian pirates who sold her into the Turkish Sultan’s harem. Aimee became known as “Naksh,” The Beautiful One, for her fair skin, blue eyes, and blonde hair. Improbably, incredibly, Aimee became the mother of the next Sultan, whose name was Sultan Mahmoud II, the Reformer. Some see  the influence of the Sultan Valideh (The Veiled Sultan) in Selim’s letter of friendship to King Louis XVI—and in other pro-European gestures and customs. Myths  die hard. People still believe that Jews, Christians and other infidels lived safe and happy lives in Muslims lands. This is a Big Lie . 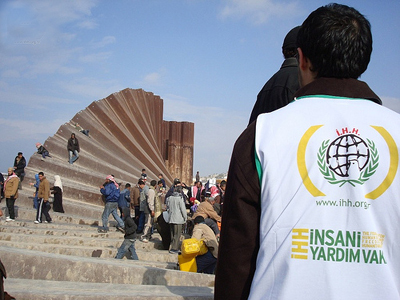 As a matter of historical fact, the Turks have a long and bloody history of cruelty and genocide. They colonized the entire Middle East, forced conversions or murdered those who resisted. Islamic gender and religious apartheid flourished. To this day, the Turks continue to deny the Armenian genocide. And, the days of Kemal Ataturk are long gone. In the early 1920s, Ataturk imposed a secular democracy upon the Islamists and unveiled the women. Now, the Islamists are winning again: Women are veiling, honor killings are on the rise (both in Turkey and among Turks in Europe). Recently, a father and grandfather heartlessly buried  a 16-year-old daughter and granddaughter alive for the “crime” of presumably talking to boys. I have also written about a great Turkish feminist hero, my friend Seyran Ates , here; Ates was shot for her work among Turkish immigrant girls and women in Berlin. Her 15-year-old client died. Ates, a lawyer, was left for dead—but miraculously survived. And we nearly admitted Turkey into the European Union. One wonders if they would have intensified their anti-Israel Islamism had they been accepted as “Europeans,” or whether their candidacy was merely a calculated move in tandem with pre-existing pro-Iranian plans. For years, Turkey has opposed  sanctioning Iran for its nuclear program. Turkey was among the first to congratulate Ahmadinejad  on his re-election victory. During 2009, Turkey improved its economic ties to Iran. I am waiting for the United Nations and for the United States to condemn this unprovoked attack on a sovereign nation. However, the White House felt it was inappropriate and left it out of their transcript of the event. And obviously some of the people at the event felt that a joke about greedy Jewish merchants was not okay and told The Forward as much. Somehow I can’t envision a scenario where the White House would make a similar joke about Islam. This is doubly true since Jones has a reputation has prominent Israel critic. Of course, this takes place in the context of a concerted effort to sooth pro-Israel Americans regarding the shabby and geopolitically stupid way Barack Obama and his team have treated our only true ally in the Middle East. I have written about Jim Jones and his checkered relationship with Israel. Often one’s true feelings towards a group come about as such gaffes (a gaffe in DC-speak is when a politician tells the truth about how he feels). Recall, this is an administration that has banned the term Islam or Muslim when it is paired with violence or extremism. This is an administration that has stonewalled Senators when they have asked to see documents related to the Ft. Hood massacre. If Jones had said such a joke about any other minority group he would have been fired or been forced to step down. At the same time, Obama has elevated Al Sharpton (who provoked an anti-Semitic pogram Harlem a few years back; a man who used “diamond merchants” as a code word to slur Jews) to being a partner of his in urban affairs.